If you’re trying to lose body fat and build lean muscle, there is a range of products on the market promising just that. One of those products is CLA, a supplement geared specifically toward weight loss. Supplements, especially one formally known as “conjugate linoleic acid,” can be confusing, so we’ve created a CLA primer for you, answering everything from how CLA works and what you can expect from taking the supplement. Read on for everything you need to know on CLA. 2 What are the Benefits of CLA? 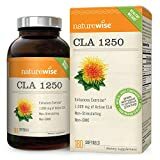 3 How Much CLA Should You Take Daily? CLA, also known as conjugated linoleic acid, is a naturally occurring fatty acid. It is considered “good fat” and usually present in beef and dairy products, but in very small amounts. CLA is also a trans fat, which while trans fats are typically branded as “bad fats,” CLA is actually used as a weight-loss supplement when combined with diet and exercise. The supplement works by helping the body convert food more efficiently into energy. More scientifically, CLA helps stop Liloprotein lipase (LPL), which is an enzyme that breaks down fat and stores it in your body. Because CLA blocks LPL, your body stores less fat. The most well-known and most used benefit of CLA is weight loss. As with most studies, there is conflicting evidence about just how successful CLA is at cutting body fat. However, more and more studies have shown that CLA, even though it is classified as a fat, will lead to overall body fat loss. Another study showed that 4.2 grams of CLA per day in 53 healthy individuals showed a 3.8 percent decrease in body fat as compared to a group of people not taking CLA. Will you see all these benefits? Again, studies are mixed, but most experts agree that CLA is at best, a weight loss supplement. How Much CLA Should You Take Daily? We know that CLA is found in dairy and beef, but because the amount in those products is relatively small, you’d have to consume 2 pounds of beef, a pound of cheese and 100 ounces of milk every day to see weight loss benefits. That’s a lot of beef and dairy, so instead, you’ll want to aim for about 3 to 3.4 grams of CLA daily. Most of the studies showed that 3.4 grams of CLA was the best amount. (We’ll get to side effects down below). Some people have reported benefits in just a few weeks, but most suggested any noticeable effects could take between six to 12 weeks. Some users have said that side effects of CLA included nausea and upset stomach, which is why the supplement is best paired with a meal or protein. However, large doses of CLA have shown an increased accumulation of fat in the liver, which could lead to diabetes. Also with large doses, studies have reported that, in both animals and humans, CLA can increase inflammation, lower HDL cholesterol and cause insulin resistance. Mode nutrition CLA is made in the USA from a blend of safflower, which boasts high levels of CLA. 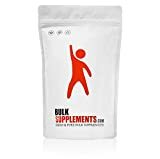 This is an affordable option for a CLA product and most reviewers say when combined with diet and exercise, they see a marked difference in their weight. RSP Nutrition’s version of a CLA supplement is also made in the USA from a blend of safflower. Another affordable option, reviewers noted that the gels are easy on the stomach and produced results. Many even said they noticed a hike in energy and boost their immune system. NATURAL, HEALTHY WEIGHT LOSS SUPPLEMENT - Conjugated Linoleic Acid (CLA) is a naturally occurring unique fatty acid that has been shown to help reduce body fat, support lean muscle mass, and improve exercise performance. PROVEN STIMULANT FREE FAT BURNER - CLA has been shown to support the breakdown of fat stores while helping to maintain lean body mass without the unwanted calories of traditional food sources, making it a powerful, stimulant free fat burner supplement for men and women. 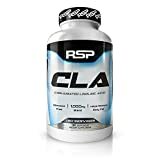 LOW RISK METABOLISM BOOSTER - Enjoy RSP Nutrition CLA as a safe, jitter-free metabolism enhancement supplement. CLA is known to complement a healthy diet and exercise by increasing metabolic rates, boosting the immune system, and keeping cholesterol at healthy levels. SAFE & COMPREHENSIVE FORMULA - Each RSP Nutrition CLA Softgel contains 1,000mg of CLA Blend, which includes Safflower Seed Oil for maximum potency and efficacy, ensuring maximum effectiveness and comprehensive weight management, making it a safe alternative to diet pills. This is a well-reviewed CLA product also made from safflower oil and made in the United States. BulkSupplements is a well-respected brand of supplements, so many users are brand loyalists. Reviewers said they trusted the company and experienced results from consistently taking the product. Another well-reviewed product is NatureWise CLA, also made of safflower oil. Many reviewers saw significant results with NatureWise, saying it boosted their energy levels and curbed their appetites. Also, many said there was no after taste with the supplement. Evlution Nutrition’s CLA, a blend of safflower oil, has also earned reviews as a beneficial weight loss supplement. Users said the product is affordable and effective. Many reviewers also said they didn’t have an after taste. SUPPORT MUSCLES AND METABOLISM | CLA1000 is a stimulant-free, weight management support that when combined with diet and exercise enhances your metabolism, reduces body fat, amplifies lean muscle development, and improves exercise performance. BURN FAT FOR FUEL | The power of Conjugated Linoleic Acid (CLA) stems from its unique ability to breakdown stored body fat and block new fat cells from growing. This organic process provides the body with a natural source of clean energy while elevating your body's metabolic processes and keeping cholesterol at healthy levels. FORMULATED FOR YOU | CLA 1000 contains a scientifically-formulated blend of CLA, Safflower Oil, - and nothing else - for reinforced weight management support with no unnecessary added ingredients. CLA 1000 is also stimulant-free with no unpleasant jitters or crash like some other products. HIGHEST QUALITY AND PURITY STANDARDS | Our CLA1000 contains the purest form of CLA available today for maximum safety and efficacy, is Gluten-Free, and proudly made in the USA to ensure you're getting the very best. We're so certain you'll love our CLA, that it comes with a 30-Day Money Back Guarantee! THE EVLUTION OF NUTRITION | No compromise is what our company is founded on. That means we're committed to creating supplements made with the best possible ingredients and manufacturing to produce the highest quality products period! We never stop working to earn your trust by exceeding expectations and helping our community, friends, and family achieve their goals every day. If you’re looking to add a supplement to help with weight loss, CLA might be a good choice to try. In controlled doses, the risks are few and the benefits could pay off. I wouldn’t choose CLA if you’re solely focused on boosting muscle strength and endurance. Most experts and users agree that CLA is best for weight loss in conjunction with diet and exercise. And at least you don’t have to eat a pound of cheese a day to see the benefits.